Catch and Release is court-ordered. I disagree. Catch and Release is a wrongful interpretation of America's existing laws and a way for the Executive Branch to allow the invasion to proceed unhindered. What is your source for this claim that catch and release is court ordered Judy? We had massive Natural Disasters the last 3 years. Puerto Rico, hurricanes, floods, fires, tornadoes, volcanos, mud slides. 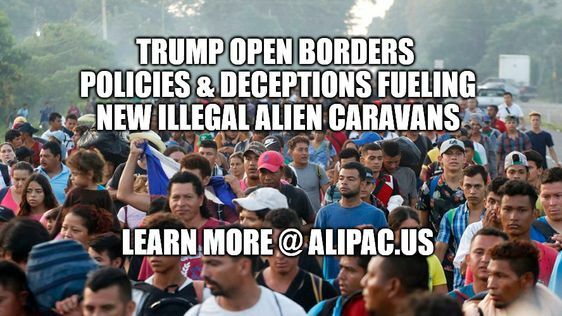 Thousands of displaced American's all over the Nation! PUT A PAUSE ON ALL ASYLUM, REFUGEES, TPS AND ILLEGAL ALIENS! WE NEED TO HELP OUR OWN. THEY LOST THEIR HOMES, JOBS, CARS, PETS, LOVED ONES...EVERYTHING! GIVE US A DAMN BREAK ALREADY! DO A EXECUTIVE ORDER AND STOP THIS NOW. WE CANNOT TAKE IN MORE PEOPLE AND PAY FOR THEM! WASHINGTON—The Immigration Reform Law Institute (IRLI) has filed a public comment analyzing high-profile emergency reforms proposed by the Departments of Homeland Security (DHS) and Health and Human Services (HHS). The reforms will curtail the disastrous practice of catching and then releasing the throngs of illegal aliens under 18 who have been flooding across the U.S.-Mexico border. The Notice of Proposed Rulemaking laying out these reforms has gotten a staggering number of comments. But out of more than 63,000 submissions, IRLI’s appears to be the only full legal analysis in support of the administration. Since 2014, the illegal entry of hundreds of thousands of alien minors, primarily from the Central American “Northern Triangle” nations of Guatemala, El Salvador, and Honduras, has overwhelmed ports of entry and border patrol resources. These illegal aliens are arriving both in family units and as “unaccompanied alien minors,” or UACs. Last edited by GeorgiaPeach; 11-16-2018 at 01:49 AM. Last edited by GeorgiaPeach; 11-16-2018 at 01:46 AM. The 1997 settlement — including its 2015 update during Obama’s tenure — creates a loophole because it forces officials to release migrants who bring children with them after just 20 days of detention. That deadline leaves insufficient time to process migrants’ demands for asylum, so forcing officials to release them and their children into the United States. Many of the migrants never even pursue their legal claim to asylum and just disappear into the population of illegal immigrants. In June, Trump ended his policy of detaining migrant parents and housing their children in separate facilities, amid a media uproar. The new decision pressures him to either release the parents and children together, or return to the detention-and-housing policy battle, or forge a new path. The “best interests [of migrants’ children] should be paramount,” the judge declared, as she released her decision while the media covered President Donald Trump’s choice for the next Supreme Court judge. 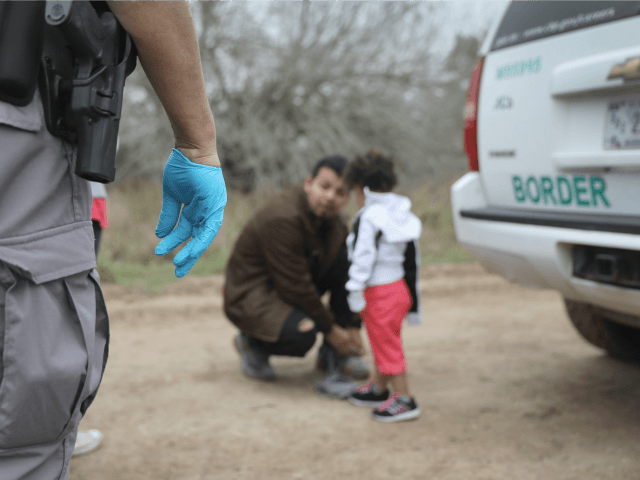 The judge argued that her Flores loophole is not responsible for the Central American migration, which is having a huge negative impact on the stability of Central American countries. At bottom, Defendants’ arguments rest in part on the premise that the July 24, 2015 Order resulted in a “3 to 5-fold increase in the number of illegal family border crossings” because it led arriving families to believe that Defendants would rather release them than separate the children from their families … Any number of other factors could have caused the increase in illegal border crossings, including civil strife, economic degradation, and fear of death in the migrants’ home countries. Absolutely nothing prevents Defendants from reconsidering their current blanket policy of family detention and reinstating prosecutorial discretion. It is apparent that Defendants’ Application is a cynical attempt, on an ex parte basis, to shift responsibility to the Judiciary for over 20 years of Congressional inaction and ill-considered Executive action that have led to the current stalemate. The parties voluntarily agreed to the terms of the Flores Agreement more than two decades ago. The Court did not force the parties into the agreement nor did it draft the contractual language. Its role is merely to interpret and enforce the clear and unambiguous language to which the parties agreed, applying well established principles of law. Regardless, what is certain is that the children who are the beneficiaries of the Flores Agreement’s protections and who are now in Defendants’ custody are blameless. They are subject to the decisions made by adults over whom they have no control. In implementing the Agreement, their best interests should be paramount. Sessions can appeal the decision to very liberal Ninth Circuit of Appeals, and then to the Supreme Court. Critics say he can also post a formal public regulation, complete with public comments, to bypass the Flores decision. Last edited by GeorgiaPeach; 11-16-2018 at 01:53 AM. One of them is called the Flores Settlement Agreement dealing with children and families. There's another one in the case Jennings vs. Rodriquez pertaining to bond hearings for illegal aliens. There's another one that deals with prison over-crowing, Brown vs. Plata, that applies to any incarcerated person including illegal aliens. There's also the US Constitution that guarantees any person a speedy "trial" which includes deportation hearings.